Liv recently enjoyed her first flight and knowing that I was going to have to endure this experience with her on my own I was not as excited as she was! My plan was to make sure I packed her cabin baggage with new toys etc to keep her occupied during the flight and whilst we were on holiday. Due to the luggage restrictions it was very important that anything I packed was portable, easy to use and easy to keep together whilst travelling. Orchard Toys got in touch with me and offered a suggestion of Doodlebugs, a fantastic, educational game that ticked all my requirements for travelling. They very kindly sent the game to us for the purpose of this review. 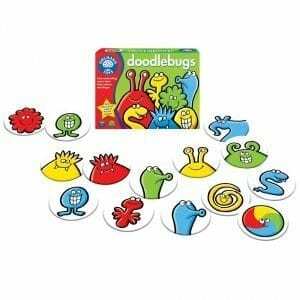 Doodlebugs priced at £7.50 from Orchard Toys is an award-winning game made to the great high standard that I have become accustomed to with the vast range of products available from Orchard. 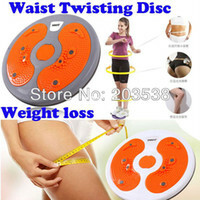 The colours on the discs are vibrant, thick and durable and soft edged. Perfect for children over the age of 3 years, Doodlebugs encourages children to learn about shapes and colours alongside mathematics and language skills. I really do not know how Orchard Toys manage it but they do make fantastic games that are both so much fun AND educational! The instructions enclosed within the game are very well written and before you even open the small box within which all the cards are enclosed, you are informed of the educational benefits to the game. A feature that I am impressed with. The concept of the game is very simple and easy to catch on for younger children, this makes it a fantastic game to play with the whole family. Liv absolutely loved this game and found the Doodlebugs characters highly amusing. Not only did we play the game whilst travelling and on holiday but we have continued to do so whilst at home. 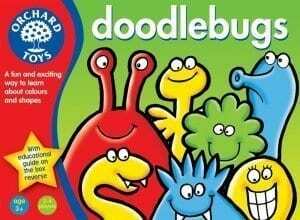 For more high quality games such as Doodlebugs visit Orchard Toys. Great review, thanks Simone. So glad that you and Liv enjoyed playing with Doodlebugs, both on your flight and while on holiday. It is such a simple little game, but it’s very addictive, isn’t it? Personally, I love it, and it’s one of my favourite Orchard Toys games!